They specifically prefer the taste of human blood. 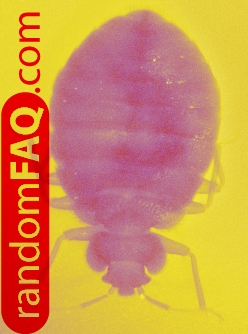 Bed bugs use a chemical that numbs the victim to feeling their presence. Because of this, it is common to get more than one bite at a time. Only 50% of those who are bitten will start to get itchy. Bed Bugs are tough to exterminate and have been rumored to ruin the lives of homeowners for extended periods of time. The Village Voice states that paranoia has set in across New York City. The fear may be growing greater than the infestations themseles.